Question: Respected doctor, am 42 years old married women, blessed with two children in normal delivery, underwent permanent sterilization after second child birth, now am suffering with pain in knees and hip for last 2 years, i underwent many Treatment but no effect, Doctors told its Arthritis, Why arthritis comes? Is there is any treatment in Homeopathy system of medicines for Arthritis? Arthritis is a group of conditions involving damage to the joints of the body. Arthritis is the leading cause of disability in people older than fifty-five years. There are different forms of arthritis; each has a different cause. Is a result of trauma to the joint, infection of the joint, or age. Emerging evidence suggests that abnormal anatomy might contribute to the early development of osteoarthritis. In which the body attacks itself. Is caused by joint infection. Is caused by deposition of uric acid crystals in the joint, causing inflammation. This is uncommon form of gout caused by the formation of rhomboid crystals of calcium pyrophosphate. The main symptom is chronic pain, causing loss of movement and often stiffness. "Pain" is generally described as a sharp ache, or a burning sensation in the associated muscles and tendons. OA can cause a crackling noise (called "crepitus") when the affected joint is moved or touched, and patients may experience muscle spasm and contractions in the tendons. Occasionally, the joints may also be filled with fluid. Humid weather increases the pain in many patients. OA- osteoarthritis commonly affects the hands, feet, spine, and the large weight bearing joints, such as the hips and knees, although in theory, any joint in the body can be affected. As OA progresses, the affected joints appear larger, are stiff and painful, and usually feel worse, the more they are used throughout the day, thus distinguishing it from rheumatoid arthritis. They do limit the movement of the fingers significantly. OA at the toes leads to the formation of bunions, rendering them red or swollen. OA is the most common cause of water on the knee, an accumulation of excess fluid in or around the knee joint. The arthritis of rheumatoid arthritis is due to synovitis, which is inflammation of the synovial membrane that covers the joint. Joints become red, swollen, tender and warm, and stiffness prevents their use. Rheumatoid arthritis affects multiple joints (it is a polyarthritis). Most commonly, small joints of the hands, feet and cervical spine are affected, but larger joints like the shoulder and knee can also be involved, differing per individual. Eventually, synovitis leads to erosion of the joint surface, causing deformity and loss of function. A sensation of localised warmth, and restricted movement. Increased stiffness upon waking is often a prominent feature and may last for more than an hour. Gout (also called metabolic arthritis) is a disease created by a build up of uric acid. In this condition, monosodium urate or uric acid crystals are deposited on the articular Cartilage of joints, tendons and surrounding tissues due to elevated concentrations of uric acid in the blood stream. This provokes an inflammatory reaction of these tissues. Gout is characterized by excruciating, sudden, unexpected, burning pain, as well as swelling, redness, warmth, and stiffness in the affected joint. This occurs commonly in men in their toes but can appear in other parts of the body and affects women as well. Low-grade fever may also be present. The patient usually suffers from severe pain. For example, a blanket or even the lightest sheet draping over the affected area could cause extreme pain. Gout usually attacks the big toe however; it also can affect other joints such as the ankle, heel, instep, knee, wrist, elbow, fingers, and spine. In some cases, the condition may appear in the joints of small toes that have become immobile due to impact injury earlier in life, causing poor blood circulation that leads to gout. (AS; also known as Spondyloarthritis) is a chronic, painful, degenerative inflammatory arthritis primarily affecting spine and sacroiliac joints, causing eventual fusion of the spine; it is a member of the group of the autoimmune spondyloarthropathies with a probable genetic predisposition. Complete fusion results in a complete rigidity of the spine, a condition known as bamboo spine. The typical patient is young, of 15 to 30 years of age, with chronic pain and stiffness in the lower part of the spine. Ankylosing spondylitis is associated with iridocyclitis causing eye pain and photophobia (increased sensitivity to light). Other common symptoms are recurring mouth ulcers (aphthae) and fatigue. Pain can move or migrate from one side to the other. Early symptoms may occur at a very young age (e.g., 3 years old), when the patient may experience recurring painful joints (e.g. 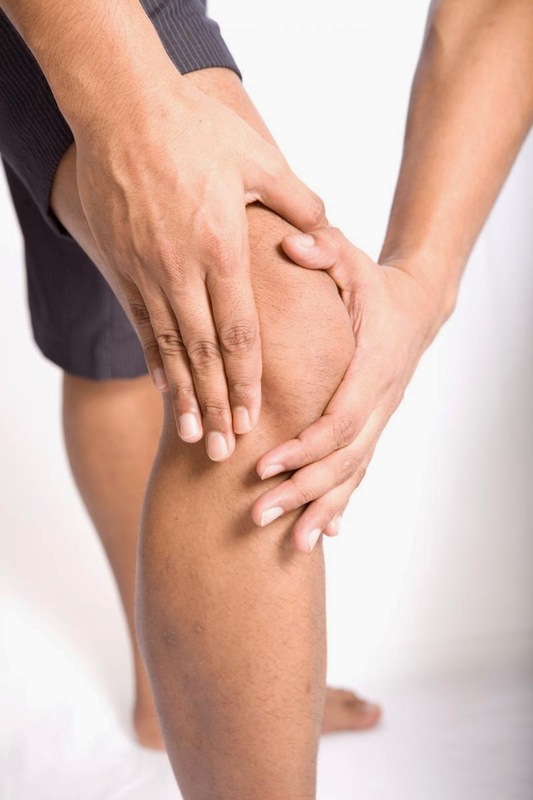 knees, elbows) commonly misinterpreted as simple rheumatism. Conservative measures such as weight control, appropriate rest and exercise, and the use of mechanical support devices are usually beneficial. In OA of the knees, knee braces, a cane, or a walker can be helpful for walking and support. Regular exercise, if possible, in the form of walking or swimming, is encouraged. Applying local heat before and cold packs after exercise can help relieve pain and inflammation, as can relaxation techniques. Heat — often moist heat — eases inflammation and swelling, and may improve circulation, which has a healing effect on the local area. Weight loss can relieve joint stress and may delay progression. Proper advice and guidance by a health care provider is important in OA management, enabling people with this condition to improve their quality of life. Usually in allopathic method of medicine they will prescribe NSAID’S along with steroids, these medicines may produce some side effects like obesity, gastritis. In homoeopathic method of treatment we have good effective medicines for these complaint, Homoeopathic medicines have no side effects. Long course of treatment is helpful to reduce these problems.